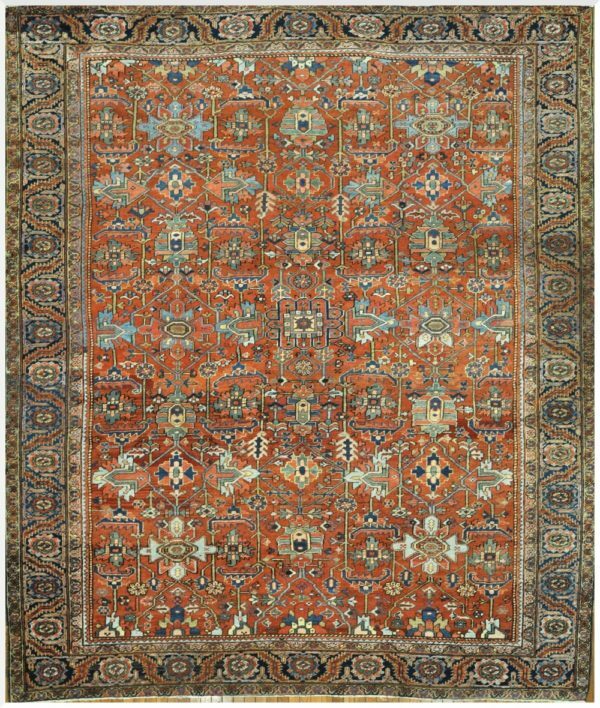 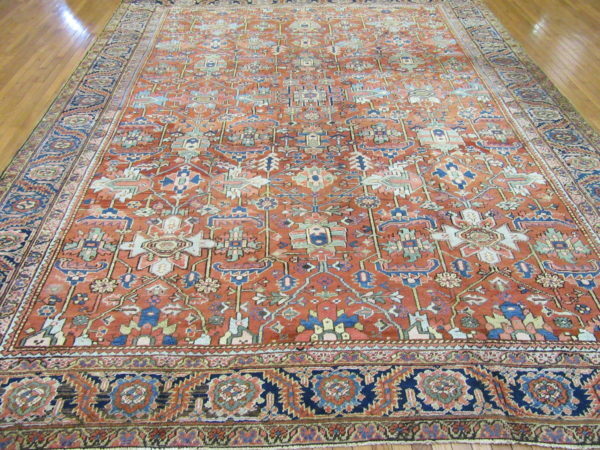 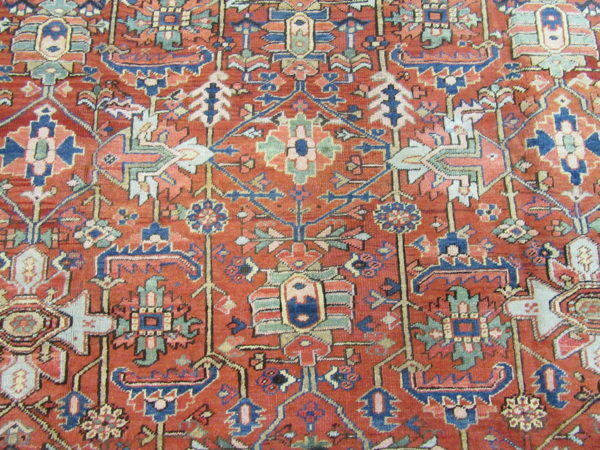 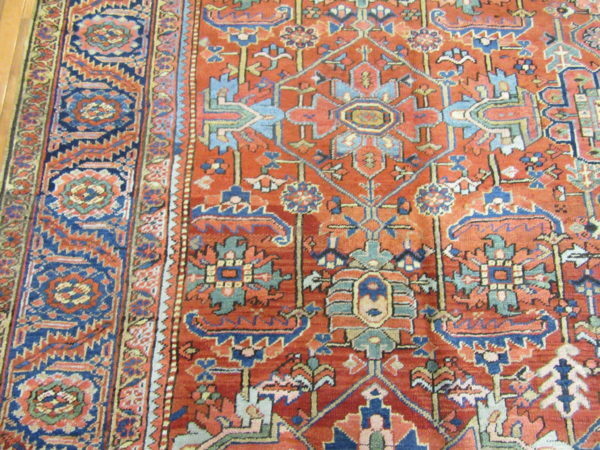 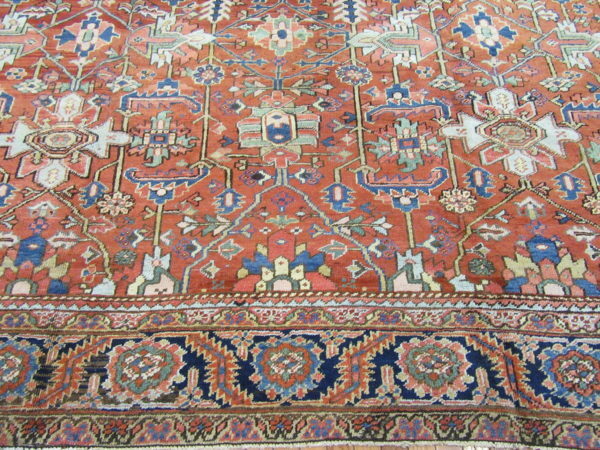 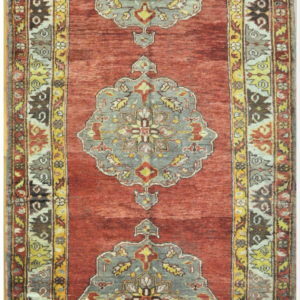 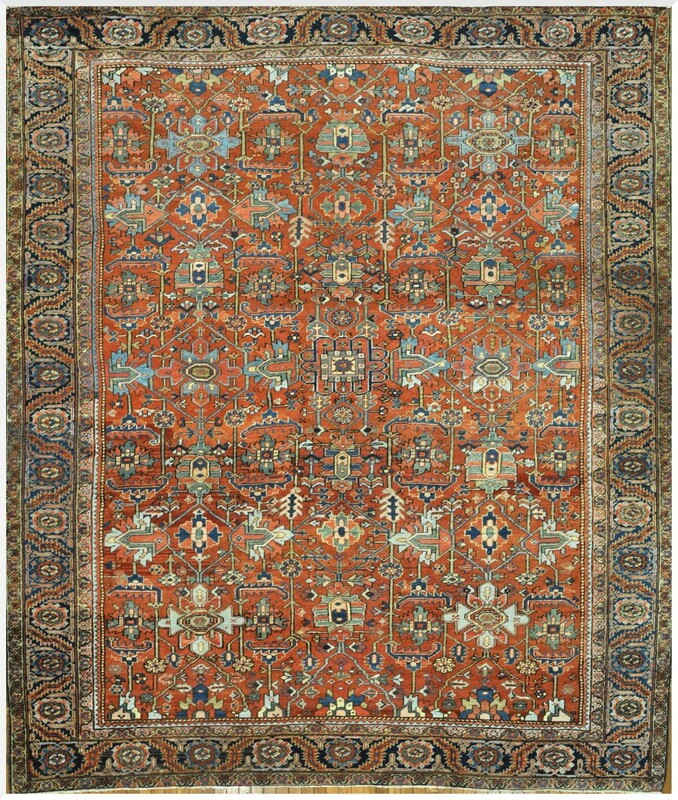 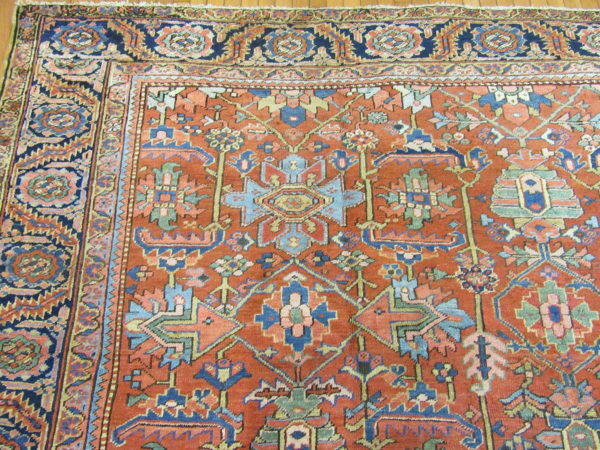 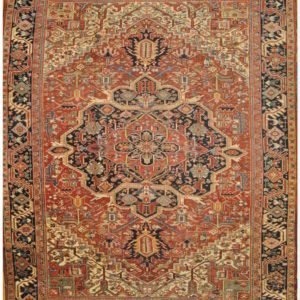 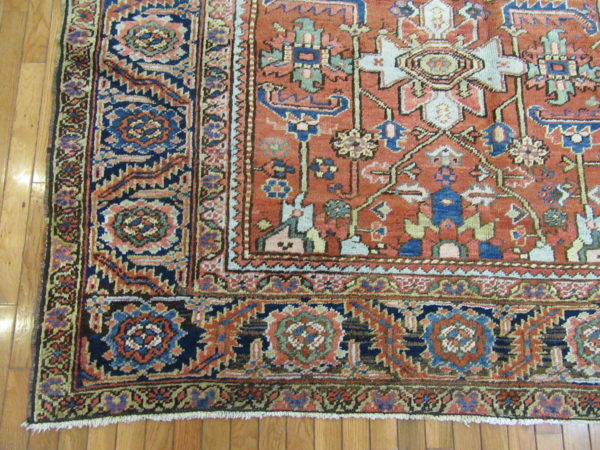 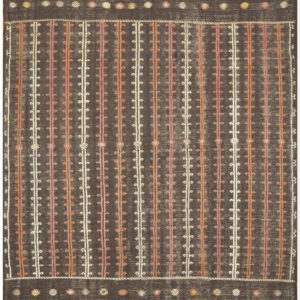 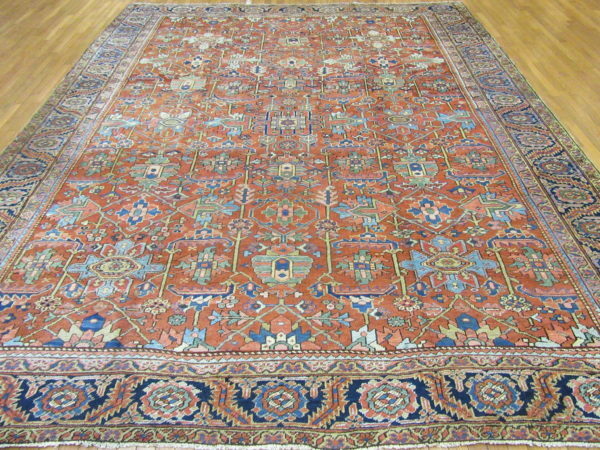 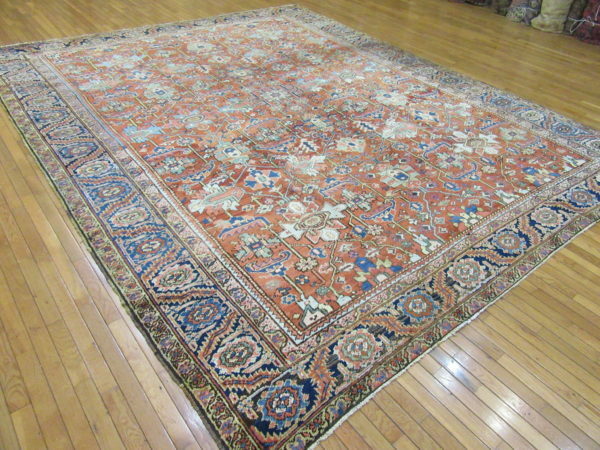 This is an antique hand-knotted rug from the village of Heriz in northwest Iran (Persian). 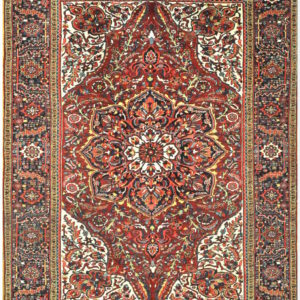 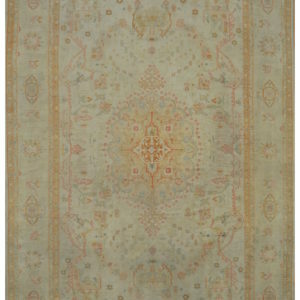 It is made with wool colored with natural dyes on a cotton foundation. 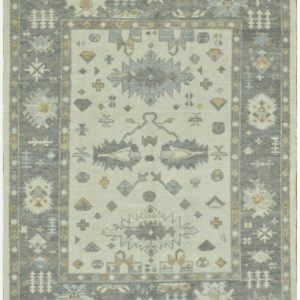 It ‘s none conventional all-over pattern makes it an easy rug to work with. 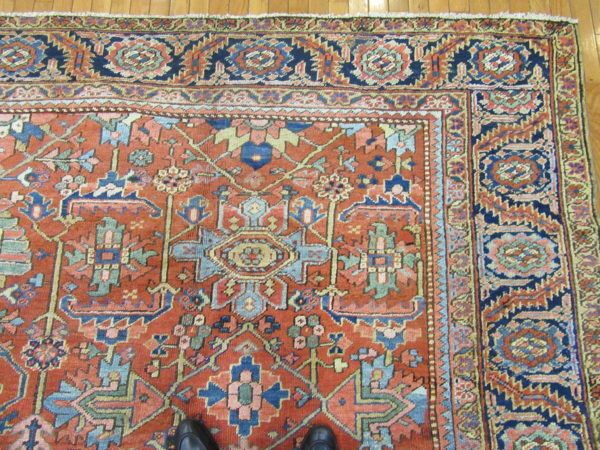 The rug is in great condition .